Freesia belongs to the same family as the Iris and Gladiolus. 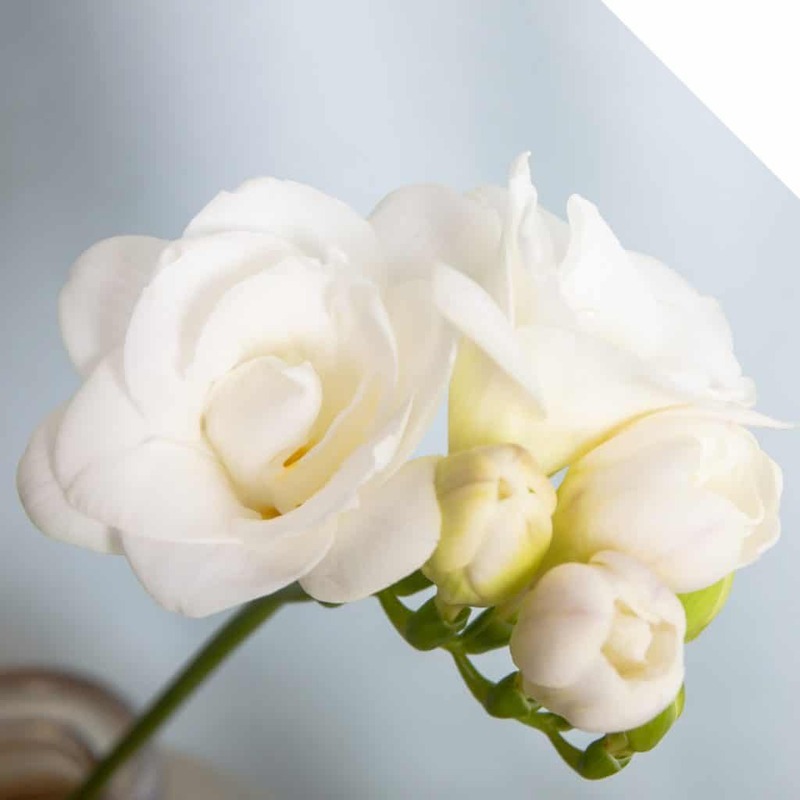 Just like many flowers out of the Iridaceae family, Freesia grows out of a bulb. 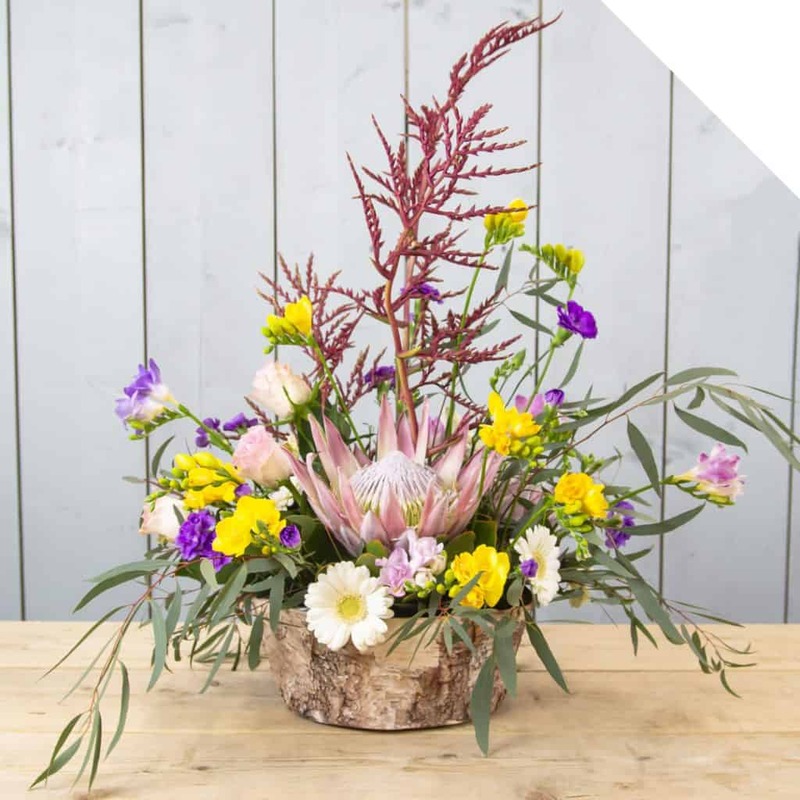 The flower originates from the Cape Region in South Africa and those Freesia’s where the start for the Freesia varieties nowadays. Although, regarding quality and appearance, the “old” and “new” varieties are hardly comparable to the current range. The flower is discovered in 1830 by botanist Ecklon, a collector of plants and flowers in South Africa. He called the flower after a German friend named F. Freese. The flower got the nickname Cape Lily, an explicit reference to the origin of the flower. 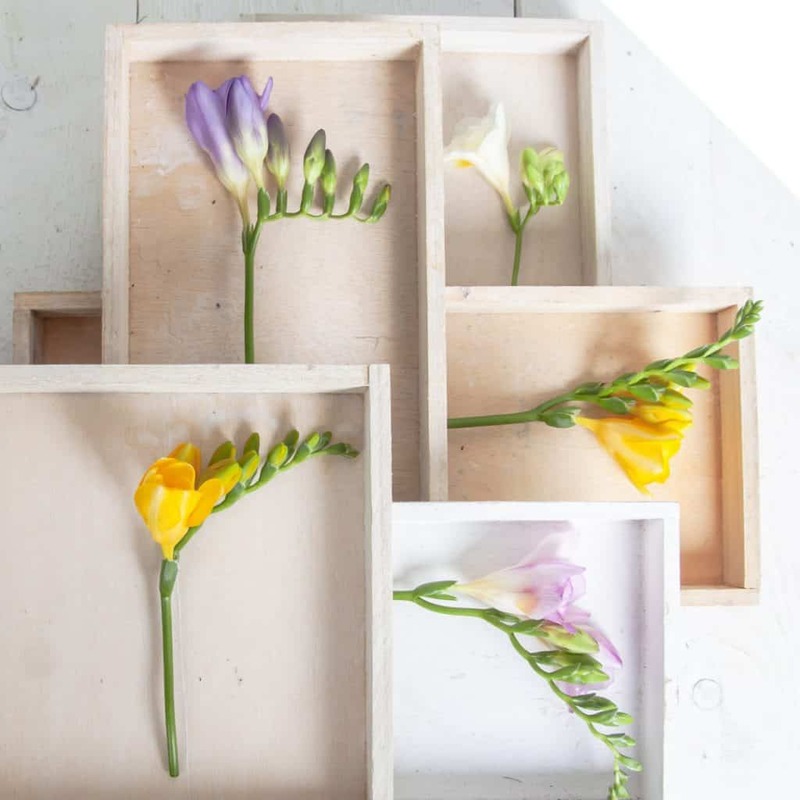 Dutch growers currently supply 97% of Freesias worldwide. The first cultivation activities have already started in the 19th century, especially in the ‘70s and ‘80s of the 20th century, many improvements have been made. 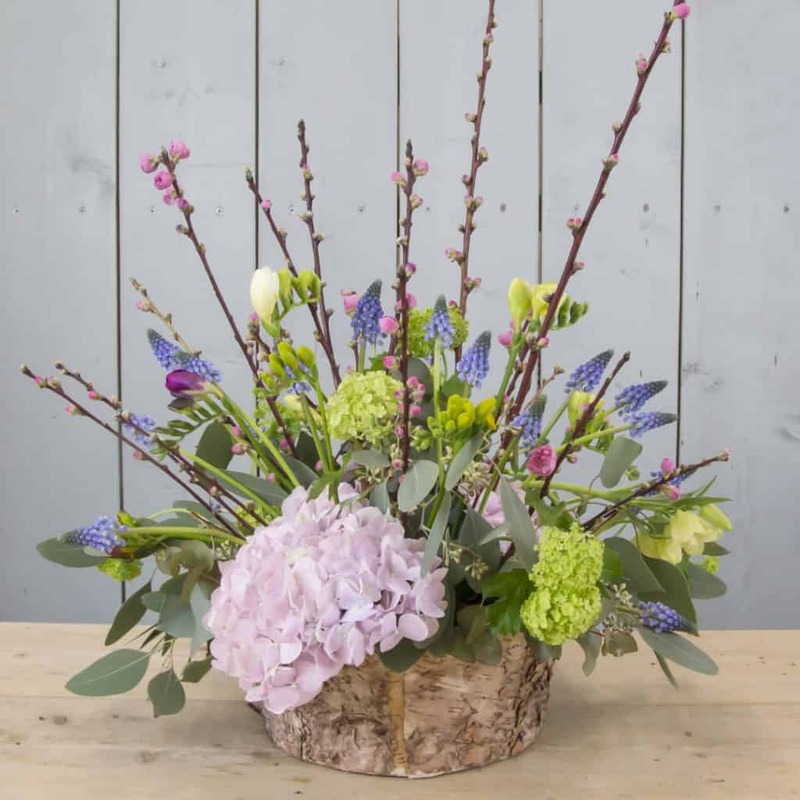 Due to the popularity of the flowers, there are still new variations on the market every year. White: simplicity, purity, and perfection. 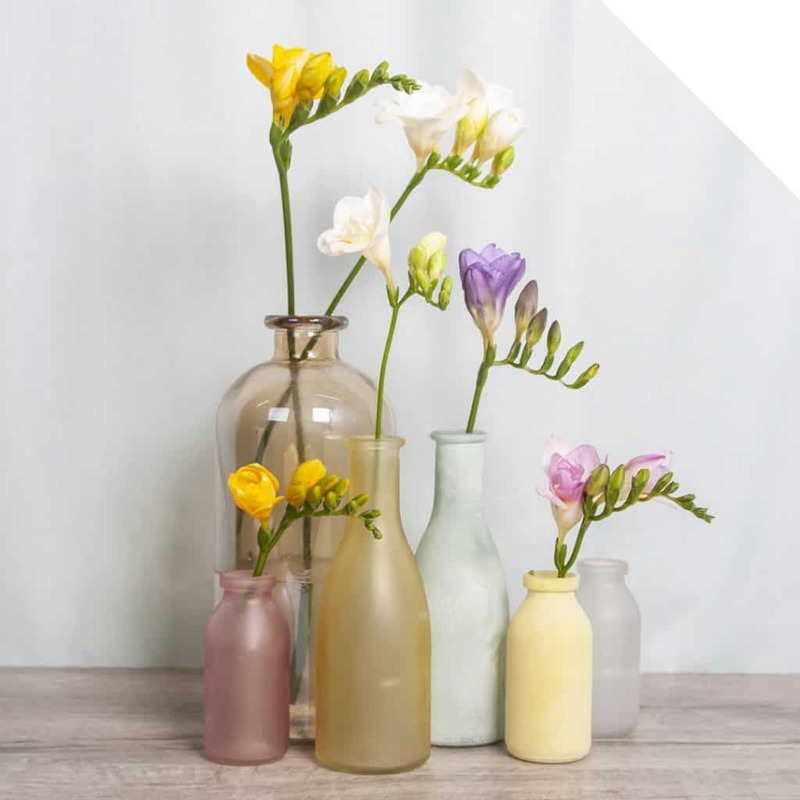 By this same popularity, the Freesia range is getting bigger and bigger. Next to a lot of colors, also bicolored, there are single and double-flowered Freesia’s. With a filled heart we call double, can you look into the heart then it’s a single Freesia. The flower is year-round available. Freesia, Tulipa, Iris, Asclepias, and Limonium. Freesia, Calla, Leather leaves, Craspedia and Asparagus. Freesia, Bouvardia, Rosa, Lily, Alstroemeria, and Salal leaves. 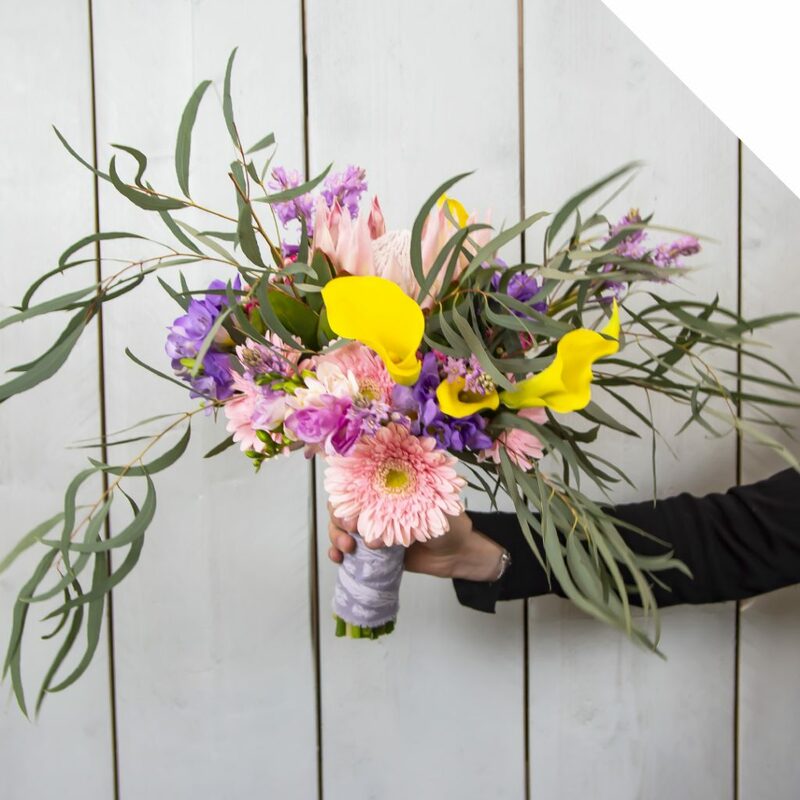 Inspect the flowers when you receive them, the stems should be firm and not slimy or weak. Cut the flowers and put them in clean water with flower food.